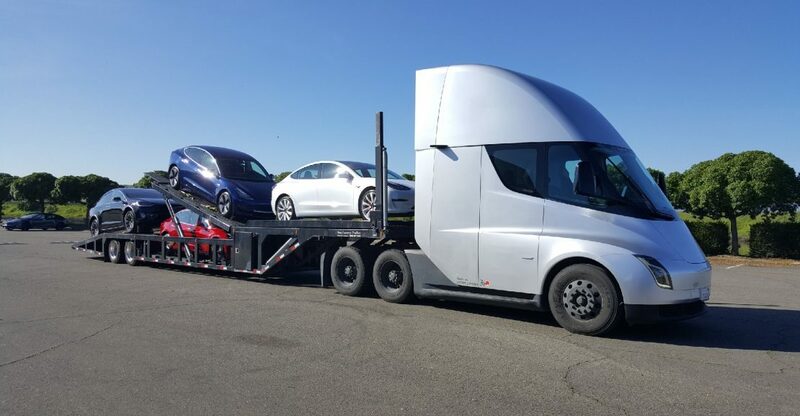 Last Sunday Elon Musk published the picture of a Tesla Semi with a trailer carrying a bunch of new Model 3. A bit later Musk commented on it, saying that the company’s focus is now moved to work on Semi – he concluded that they are looking forward to bringing the truck to production. Though, according to Musk, Tesla was busy solving the production and logistics issues for last 18 months. Back to the first Tesla Semi prototypes unveiling, the company claimed to bring the truck to production by the end of 2019. So far there was no any other timing stated. Meanwhile, there were many evidences of the Semi prototypes on road testing.